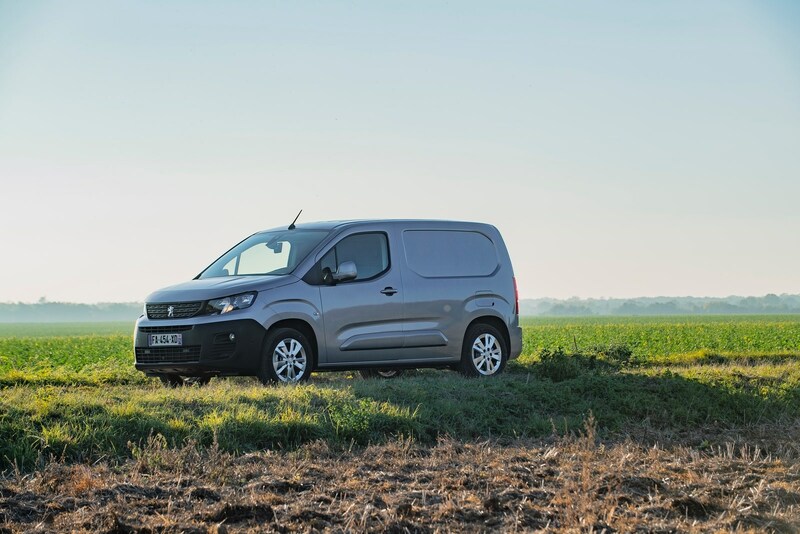 The Peugeot Partner is the French company’s smallest van – and one of the bestselling light commercial vehicles in Europe, typically outselling the rival Renault Kangoo and the Citroen Berlingo. As always, the Partner and the Berlingo are the same van underneath the branding, though the differences in the cabin are more obvious this time round. For the first time the latest Vauxhall Combo is also based on this platform, following the British brand's purchase by Peugeot's parent company the PSA Group in 2017. In addition to this in-house competition, the Partner also faces a stiff challenge from the well-established Volkswagen Caddy and Ford Transit Connect, with the Ford typically being the bestselling small van among UK buyers. The Partner uses tried-and-tested BlueHDi diesel engines found in the previous-gen model, producing 75hp and 100hp, while a newer BlueHDi 130 sits at the top of the range – it’s an engine you’ll find in several of Peugeot, Citroen and Vauxhall’s passenger cars. There’s also a PureTech 110 petrol available to suit those not especially enamoured by diesel at the moment, which could be a viable option for those using the Partner in town the majority of the time. All come with manual gearboxes, while top-flight engines are available with an optional EAT8 automatic gearbox, with a higher-output PureTech set to become available in 2019 with this gearbox, too. The Partner is available in two body lengths: Standard and Long (a bit simpler to understand than Citroen’s M and XL), with extra length gained from a stretched wheelbase and longer rear overhang for the longer version. 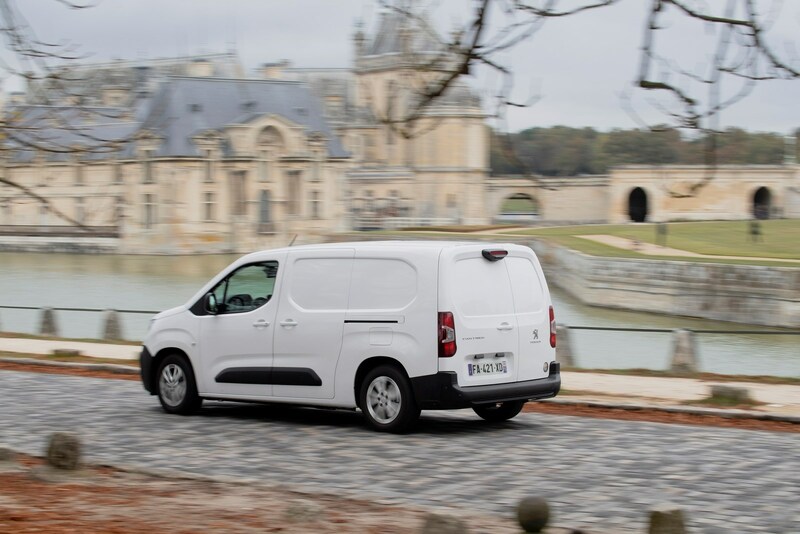 The Partner comes in one of four trim levels – S, Grip, Professional and Asphalt – that mirror those available in the Citroen Berlingo, focusing either on a more utilitarian aspect (such as working on building sites) or drivers spending more time behind the wheel on the road. The Partner in Standard length will carry up to 1,000kg in the back (depending on the model), while the Long model’s limit is 950kg. Up front, Standard models can come with either two or three front seats, while the longer model is available as a Crew Cab with a second row of seats, meaning you can have up to five seats in total, with a moveable bulkhead/grille partition featuring on the Crew Cab. If you’re struggling to choose between the Peugeot, Citroen and Vauxhall, it’s likely it’ll be the interior that makes or breaks it for the Partner over the other two. That’s because it features a version of Peugeot’s i-Cockpit dashboard layout found in its cars, meaning you get a dinky steering wheel and high-set dials. Some will find it easy to get used to, others not so much. You have to be the right height and size to find a comfortable driving position – in some cases you’ll find the top of the steering wheel obscures part of the dials. Peugeot says this makes its cars feel sportier, but we’re not sure that’s a priority for van drivers, and the design may be a bit of an acquired taste. As such, the more traditional layout found in the Citroen and Vauxhall could convince potential Partner buyers to opt for them instead. 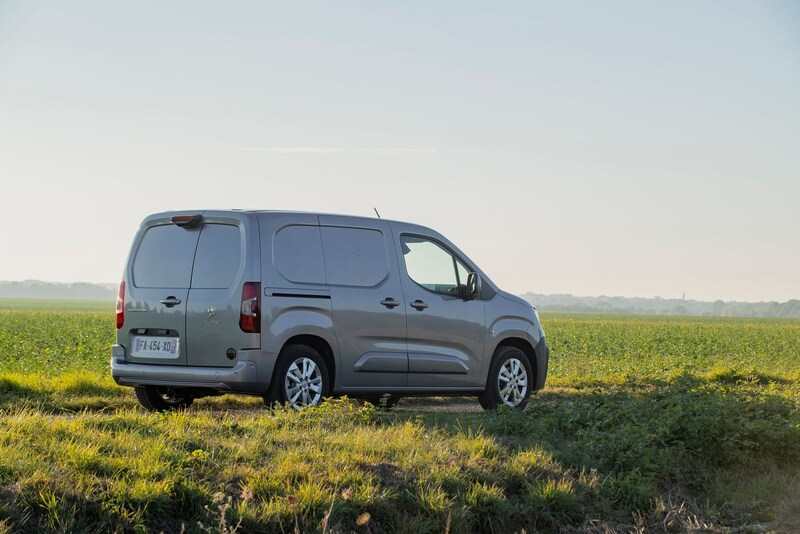 The Peugeot Partner comes with all the best bits of the Citroen and Vauxhall, which is to say a flexible interior with plenty of storage, a load bay large enough for two Euro pallets, a wide range of efficient engines, and a safe, secure drive. Where it falls down is the interior, with a layout that many will find difficult to get used to. Some may love it, but if you don’t like change, you’ll want the Berlingo or the Combo instead. Unsurprisingly, the Partner drives pretty much exactly the same as the Berlingo and Combo, thanks to shared underpinnings and engines. That means a range of efficient diesel engines that suit the Partner’s size well, and a composed drive with neat handling and surprising manoeuvrability thanks to the (partially) new platform underneath. The front uses the firm’s latest EMP2 platform that underpins many passenger cars, while the rear of the Partner uses the existing van platform. We’re yet to try the lower-powered 75hp version, but we suspect this will lend itself best to city driving, while the BlueHDi 100 and BlueHDi 130 models will be far better suited to out-of-town driving. The BlueHDi 100 is the expected bestseller, blending low fuel consumption with enough power and torque to be easy to drive on the motorway without feeling out of its depth. The only issue with this engine is that it comes with a five-speed manual (as does the BlueHDi 75) meaning it can get a little noisy at motorway cruising speeds, leaving you wanting a sixth gear. Luckily, the BlueHDi 130 – a newer 1.5-litre unit – gets a sixth gear and much greater flexibility on country roads and motorways. It’s also more refined than the others, making it a very relaxing thing to drive, while the six-speed manual gearbox feels a little slicker and more pleasant to use than the five-speeder. This engine is also available with an eight-speed automatic gearbox – badged EAT8 – although we’re yet to drive this particular version. The PureTech 110 petrol is likely to be a more niche choice compared with the diesels, but it could make sense to those using the Partner in town for the majority of the time. It’s an eager engine that needs to be revved, but it’s surprisingly capable of dragging itself up a hill with remarkably strong pulling power. It does get a little gruff when doing so, though, and at other times it’ll require quite a bit of gearchanging to ensure swift progress. On the road, the Partner feels a compact van, with good visibility and tidy handling that doesn’t make it feel too big or cumbersome on tighter roads, whether that’s in town or on a twisty lane. 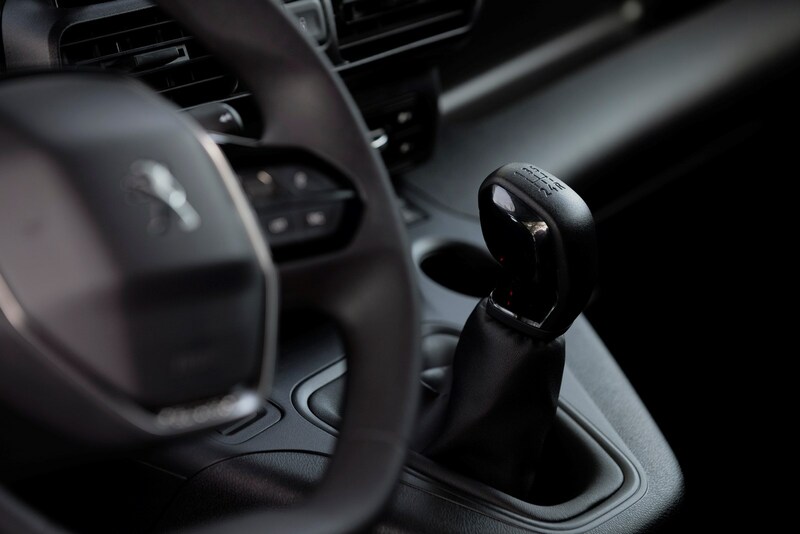 The steering is light and quick to respond to inputs, which makes manoeuvres easy, and a lot of that is down to the small steering wheel that requires less effort when turning. However, that could translate as a slightly odd sensation where you’ll find yourself turning too much at first. You’ll get used to it in everyday driving, though the Citroen and Vauxhall both feel a little more natural. It’s a comfortable van, with good seat comfort and a compliant ride – but it’s worth bearing in mind that the diesels – particularly the BlueHDi 130 – seemed to ride better than the petrol over imperfections in the road surface when we drove them back to back. Higher-spec models come with greater levels of insulation around the windscreen and windows, making them a surprisingly quiet place to be. But the engines aren’t especially noisy anyway, only becoming uncomfortably loud when you’re really revving them. That’s unlikely to be an issue for most, and the rest of the time it’s a quiet van that does well to isolate engine noise from the cab. Wind noise around the large door mirrors is noticeable, but at least visibility is good. When you’re behind the wheel of the Partner, this is where you notice the biggest difference between it and the Citroen and Vauxhall equivalents. The Partner is the first of Peugeot’s vans to feature a version of the company’s i-Cockpit interior design. 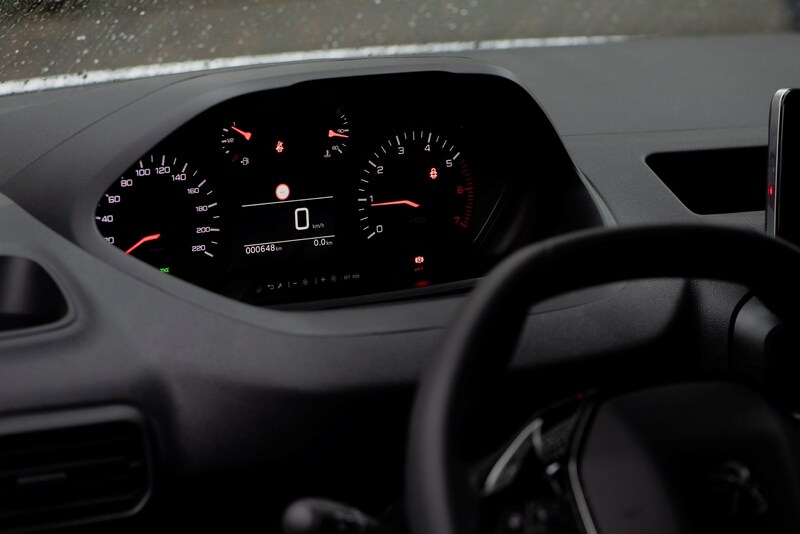 That means it has a smaller-than-average steering wheel and an instrument panel that sits higher on the dashboard than a conventional set of dials. In its cars, Peugeot says this promotes a sportier feel, but we’re not sure it’s as effective on a commercial vehicle. It takes a little longer to get comfy and settled due to this set-up, and as you sit higher up in this van than you would in a car, it can feel a little unnatural. Taller drivers may also struggle with the steering wheel so close to their knees, while the top of the steering wheel can obscure the dials slightly for some. In short, it’s not as easy to jump in and drive as the Combo or Berlingo – we found we had to stop and tweak and fiddle with the steering column to get it just right, whereas there were no such issues with the others. 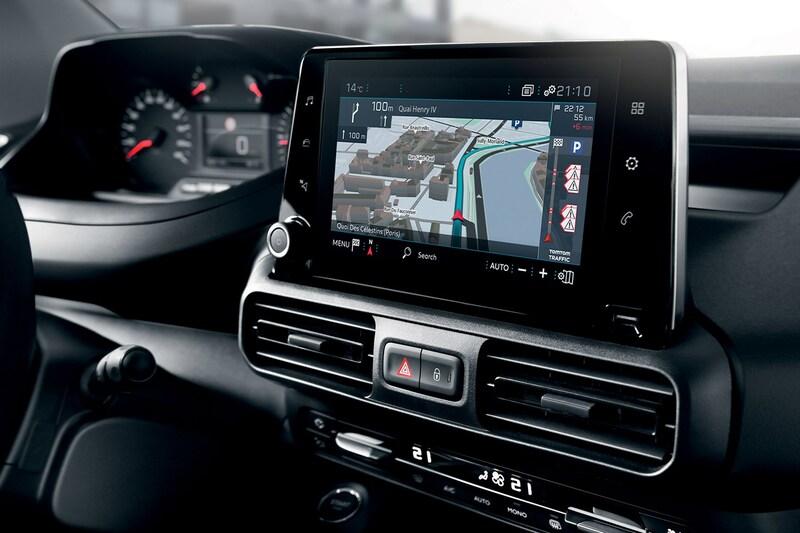 Otherwise, the interior layout is the same as its sister vans, with a large touchscreen infotainment screen sitting proud of the dashboard and angled slightly towards the driver, meaning it falls to hand easily. The air-con controls look a little tucked away – which they are – and can be a little fiddly to operate quickly on the move as they’re also quite small and low down. Storage is good, though, with a large shelf above the seats, a box on the dashboard where the airbag used to live (it’s now in the roof), a small area beneath the dials and a place for your phone by the gearlever. The door bins are also large, while a pair of cupholders flank the dashboard by the windows. Service intervals are 15,000 miles / one year for the BlueHDi 75 and 100 engines and 25,000 miles and two years for the BlueHDi 130, while a three-year/100,000-mile warranty should take care of any problems. The Partner uses mechanical components found in the previous-generation van, as well as newer parts found in many of the firm’s passenger cars, so they should all be tried-and-tested with few problems expected. If anything does go wrong, a comprehensive three-year warranty should take care of most of the issues, should any arise. Some of the company’s touchscreen systems can be a little slow to respond (as we’ve found), so make sure you’re on top of any software updates to keep this performing as quickly as possible. 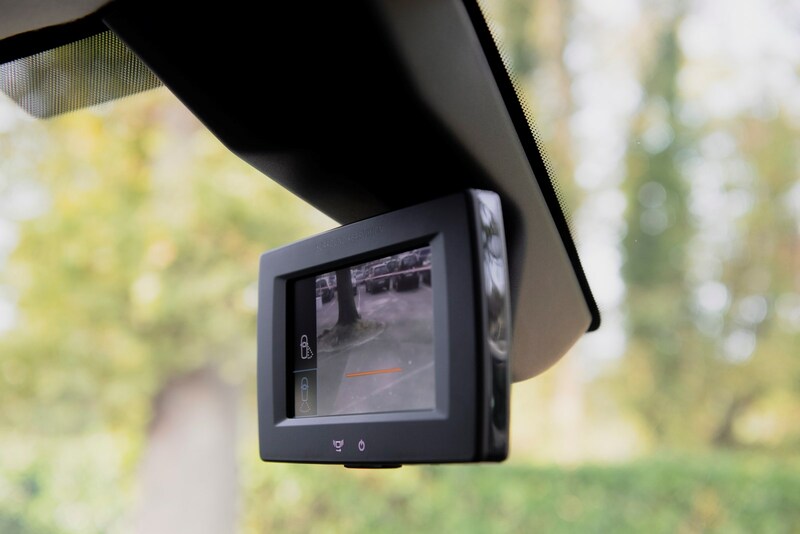 Many of these will make life a lot easier on the road, while new features such as the Surround Rear View system boost visibility at the back of the van where there would normally be blindspots and difficulty judging the rear corners. Similarly, the useful Overload Indicator illuminates a light when the van is nearly at its loading limit, and then again when it’s over the limit to avoid driving illegally with too much weight in the vehicle. Not only does this make the Partner safer for the person driving it, it’ll also save any fines from the police if you’re found to be driving an overloaded van. In terms of security, an alarm is available (not standard on all models) while the rear door hinges have been moved so they’re hidden when the doors are shut. This makes it much more difficult for potential thieves to break into the van. Which Peugeot Partner is best for me? Cheapest running costs in the Partner range come courtesy of the BlueHDi 100, with up to 67.3mpg claimed for the Professional and Asphalt trim levels. The differences between models is minimal, though, with Peugeot claiming over 60mpg for all diesel Partners no matter the trim. It’s a similar story when it comes to CO2 emissions – the highest output of 119g/km courtesy of the longer-wheelbase Partner BlueHDi 100 Grip. If you don’t care about any car-like features or luxuries, the entry-level S will be enough for you. However, if you want more engine options, the Professional is the one for you, with every engine available to you in a variety of payloads, plus it comes with a good hail of standard equipment to keep you comfortable, safe and entertained if you spend a lot of time behind the wheel. Grip models will be the one to go for if you need something a little tougher, while top-spec Asphalt models have an excellent list of kit, but could work out pricey. 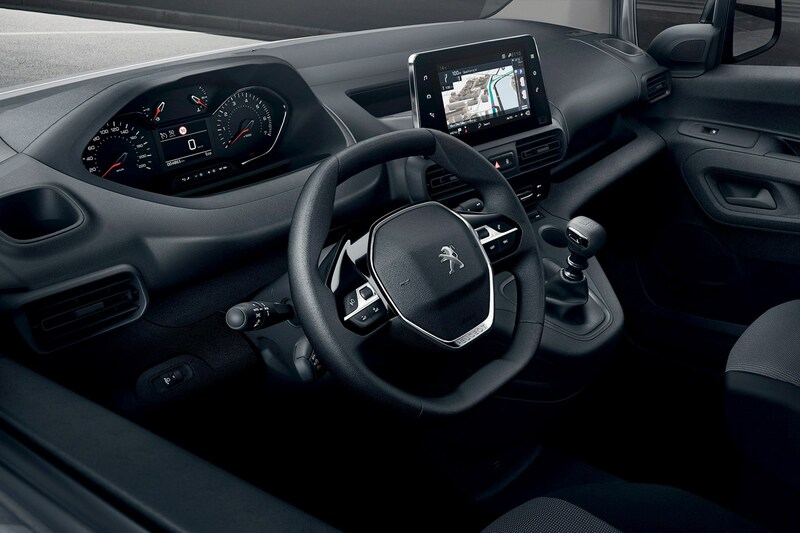 The Partner Asphalt is the most car-like of the line-up, with a long list of standard equipment that boosts ease of driving and comfort, with some extra tech that you’ll find in Peugeot’s passenger cars. This is the one to go for if you’re spending a lot of time behind the wheel, as all of those bits will add up to a more pleasant driving experience. It also has the least van-like look, with attractive alloy wheels and more colour options. The BlueHDi 100 is expected to be the most popular engine available in the Partner, and comes available with every trim level, and in both body lengths. However, the most versatile engine is the BlueHDi 130, making light work of long journeys, plus it’s the only one to come available with an automatic gearbox (if that’s what you want or need). For most, the torque of the BlueHDi 100 will be enough, plus it costs less to buy in the first place. After an insurance quote for a Peugeot Partner? Try mustard.co.uk.